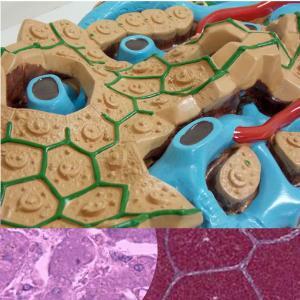 Learn the finer points of liver anatomy using these high quality Wards models and slides. 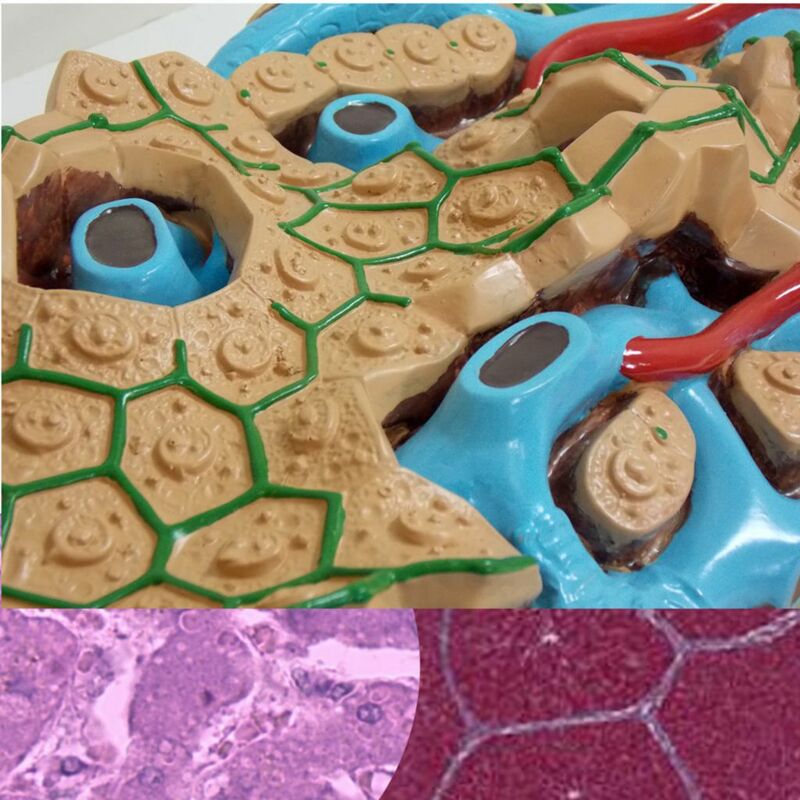 The Ward's liver anatomy model is one of the first microanatomy models available. Carefully created from examination of microscope slides this model illustrates hepatic function easily. A small, separate model is used to illustrate generalized structure, and a representative region of the larger model. The included key identifies structures as well as providing a description of the functions of identified structures. Once your students understand how the liver functions, compare the differences between two included microscope slides. These high quality Ward's slides allow for comparison of a human and porcine liver. It is easy to see the differences in structure of the same organ between two different species.